When famous people have babies, those babies make headlines. Here are some of the babies making their worldwide debut in May 2014. 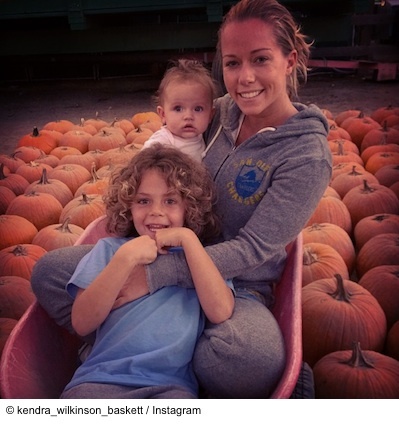 Alijah Mary Baskett — Kendra Wilkinson and Hank Baskett welcomed baby #2 into the world. Little Alijah has a big brother at home, 4-year-old Henry Randall “Hank” Baskett IV. Wilkinson recently told Us Weekly her baby-making days are over. Alijah Mary’s arrival perfectly completes the Baskett family, says Wilkinson. Future Zahir Wilburn — Recording artist Ciara and her fiancé, Future, are the proud parents of their first child, a son named Future Zahir Wilburn. By all accounts, the future seems bright for this celebrity family. Georgia Blue Nichols — It’s not a cold or a virus. It’s a perfectly healthy beautiful baby girl for country singer Joe Nichols and his wife, Heather. Little Georgia Blue has a 2-year-old sister, Dylan, and a 15-year-old half sister, Ashelyn. Mom Heather has an autoimmune condition that causes her body to respond to pregnancy as if it is an allergy, a virus, or other foreign invader; her immune system fights the pregnancy and tries to expel it. She’s suffered multiple miscarriages but fertility treatments and a host of medical specialists made it possible to bring Dylan and now Georgia Blue safely into the world. June Joanne Allman — Actors Marshall and Jamie Anne Allman welcomed the slightly early arrival of their daughter, June Joanne, who weighed 7 pounds at birth. Welcoming baby June Joanne home are big brothers Asher James and Oliver Charles, twins who are 15 months old. The boys were born early, too, and spent almost three months in NICU before going home to mom and dad. Lucy Marie Wolf — “She will own me,” proudly predicted actor Scott Wolf when he learned his wife, Kelley, was having a girl. Baby Lucy Marie has two big brothers: Jackson Kayse, 5, and Miller William, 18 months. Before long, baby sis will probably own them, too. Oliver Finlay Dallas — Once upon a time, two co-starring actors fell in love and got married, with the expectation of living happily ever after. Ginnifer Goodwin told Jimmy Kimmel she actually did marry her Prince Charming, Josh Dallas, and she was in the third trimester of pregnancy when she said “I do.” Now the happy couple has a son. Oliver Finlay is “our favorite person,” tweeted his proud papa. Their fairytale life continues.